Are you serious about a career in acting? Would you like a bit of extra help with your auditions? Are you put off by the cost of applying to drama school? Open Door is an exciting new initiative designed to help give you the extra support you need to take the next step in your acting career. 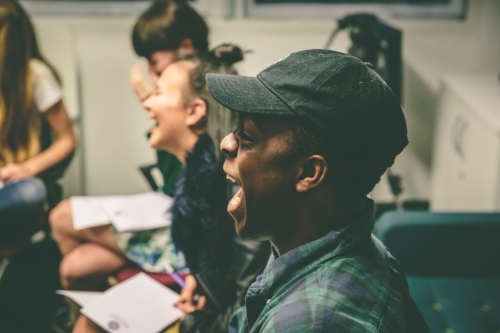 We’re looking for 30 young people based in London who are serious about pursuing a career in acting but may need a little help in getting there. We know how difficult and expensive the process of applying for drama school can be so we want to help by giving you the support you need so you can go into your auditions feeling prepared, confident and without any worry of financial strain. And it’s all free! We’re working with some of the top industry names, The Donmar Warehouse, The Soho Theatre, The Royal Court among others, and our Patrons include Woody Harrelson, Emilia Clarke, Riz Ahmed, David Morrisey, Amanda Redman and Casting Director Nadira Seecoomar. Our tutors and workshop leaders are some of the best as we want to make sure that you’ll gain valuable experience with us. Find out more about the project and apply now!